The other day I was over at Kiribilli and saw a wonderful view. I just had to place my BMW R65LS in the foreground and take some shots. All I had was the trusty iPhone, so the photos are OK. But the BMW seemed right at home with the fine scenery. 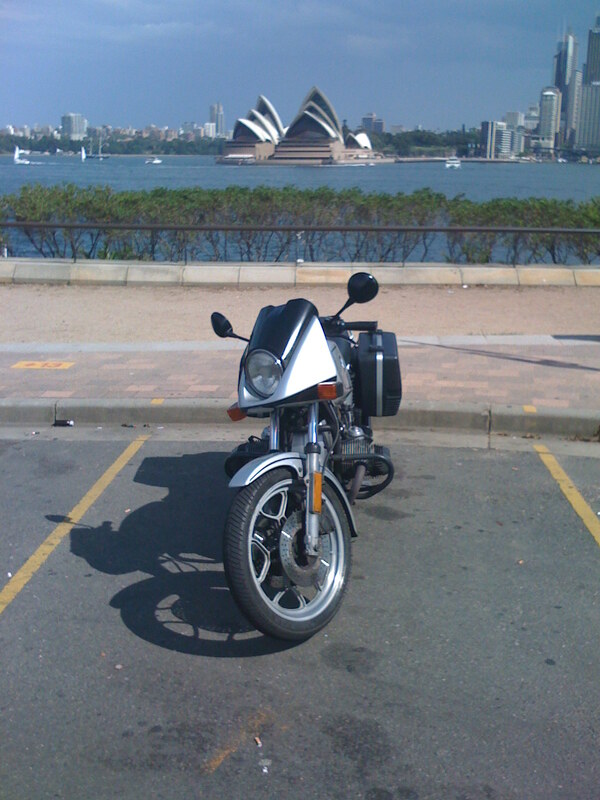 My beautiful BMW R65LS with a mildly well known piece of architecture in the background. 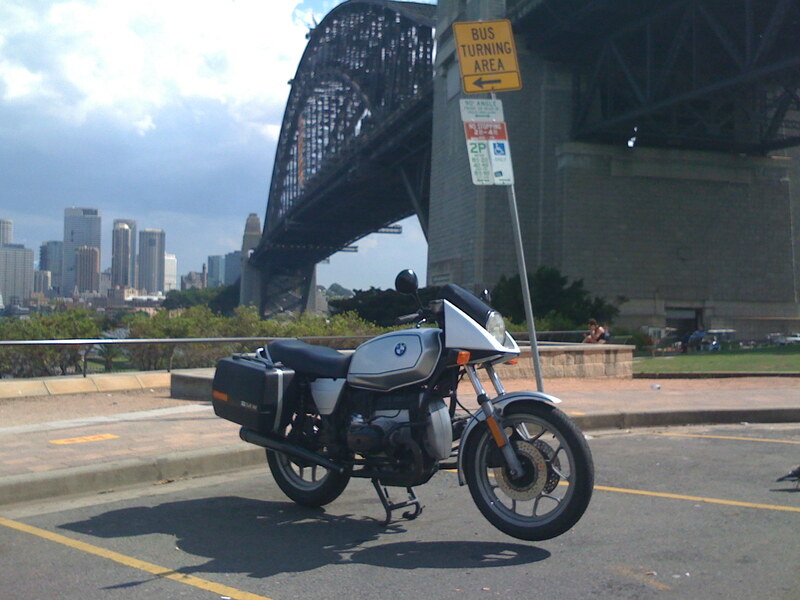 Here the R65LS has the Harbour Bridge in the background. Shows off the triangular pod fairing on the LS nicely. 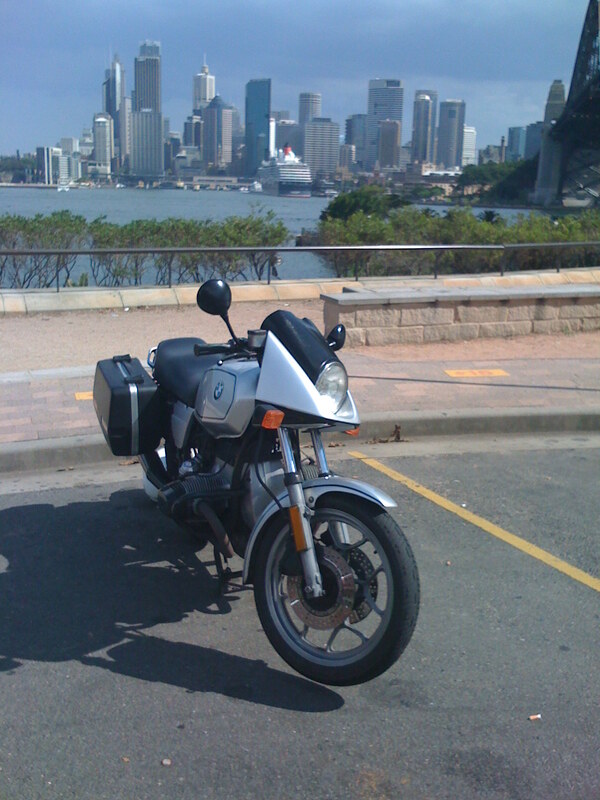 Here the BMW R65LS dwarfs the ocean liner Queen Victoria.